Together with his trusted partner-in-rhyme Irv Da Phenom, Krizz Kaliko demolished a crowd of 5,000 at this year’s Paid Dues Festival. 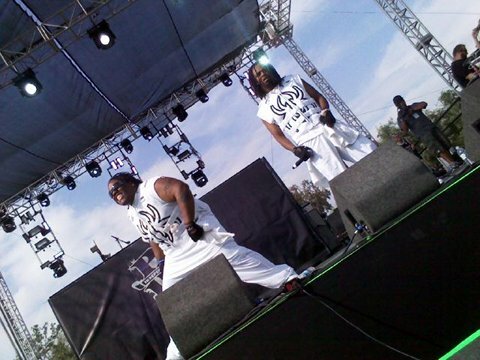 Krizz shared the same stage that featured the Black Star reunion show. Fans were astonished by Krizz’s live performance, already legendary and a sight to behold for those who have been fortunate to bear witness. Krizz reached out to express his enthusiasm via Twitter, referring to Paid Dues as “one of the great moments of my career.” Given his immense talent and high ceiling, we can only expect more experiences like this for Krizz Kaliko. Check out the Twitter activity below. How long will it take before the REST of the world knows how dope Krizz Kaliko is? It’s growing!